GovEase's online tax auction streamlines the tax auction process making it easier to research and purchase tax liens from anywhere. GovEase merges multiple data sources to provide the most data on tax lien properties. 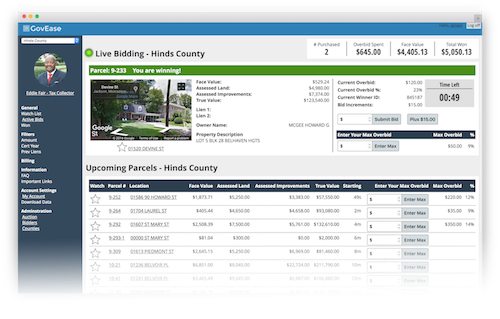 This gives bidders the transparency and insights they need to make better purchasing decisions. Our easy to use platform provides benefits for local and state governments. Our online auction automates all of the time and effort you and your employees dedicate to facilitating tax lien auctions each year. Accessing the online auction is simple. Anyone with a smartphone, tablet, or computer can participate in the auction. GovEase's online auction increases bidder participation and ensures fair and active bidding competition. All of our systems are designed to be user friendly to allow anyone to access and participate in the auction. GovEase streamlines the tax lien auction process which helps tax collectors and bidders by creating a transparent and optimized auction process. We design all of our systems to be user friendly. We start our design process with feedback from our end users and customers allowing us to provide an intuitive and inteligent interface. Customer support is our primary focus so we ensure that our users always have instant access to support and training. We offer video training, onsite support, webinars and much more. Our senior management team has over 20 years experience building and deploying innovative applications for local, county, and state government across the United States. Looking to purchase tax liens? Sign up and registration is easy with GovEase auction. Just go to our Auctions page and choose the county you wish to participate in. 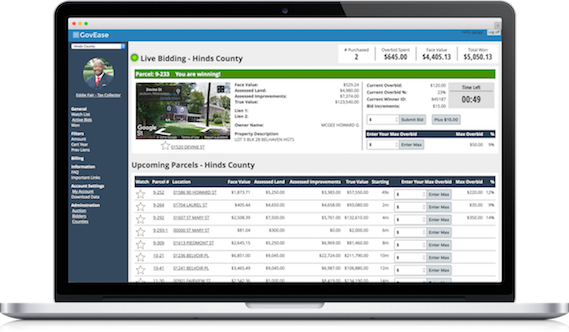 Our auction merges multiple data sources to give you the most information available about the tax lien properties. This allows you to make better purchasing decisions. 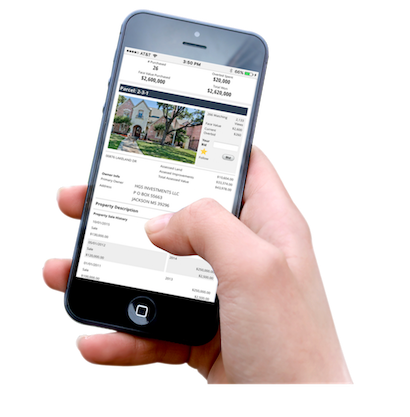 Purchase liens with a click of a button. You can enter a max bid before the parcel is auctioned or you can bid in real-time. The system also dynamically displays your overbid percentage allowing you deeper insight into your purchasing strategy.